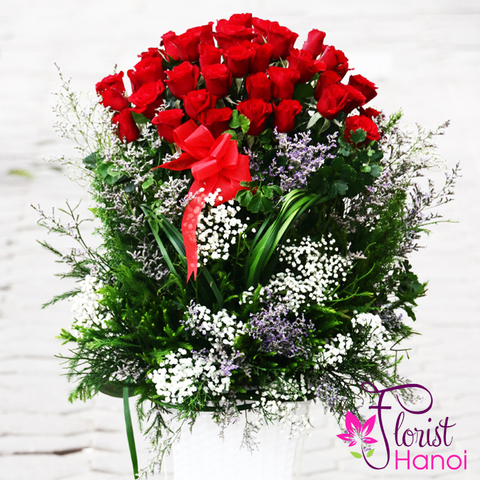 What could be more romantic than a sea of red roses? 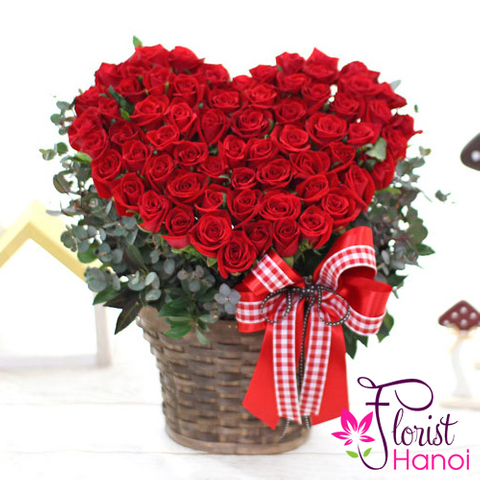 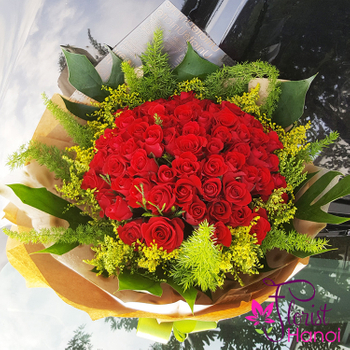 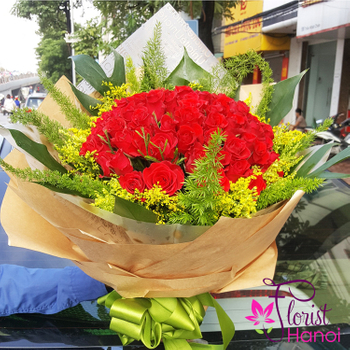 Share your passionate love for somebody special with these luscious red roses resting on seasonal foliage. 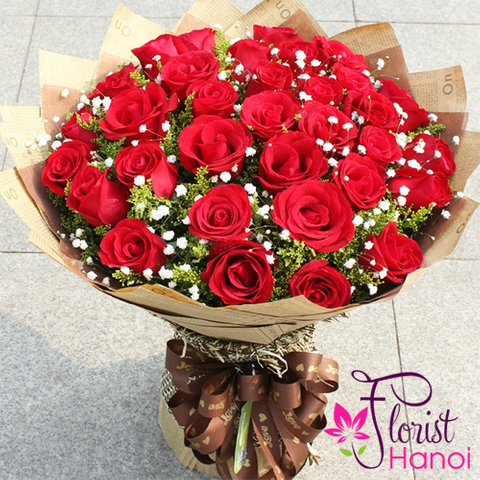 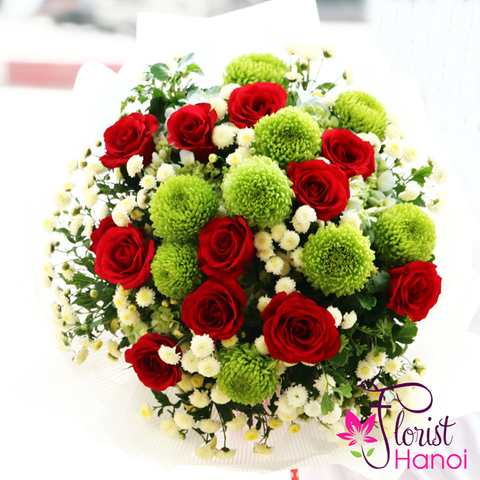 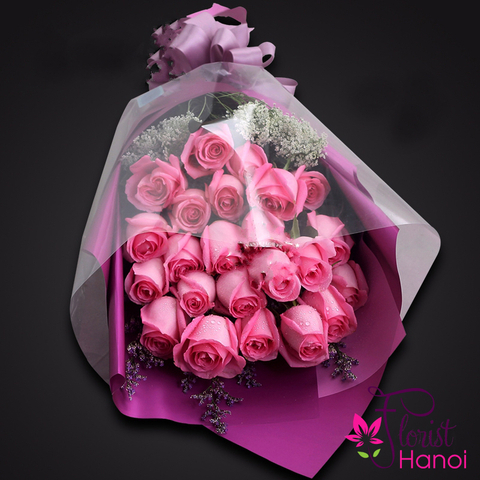 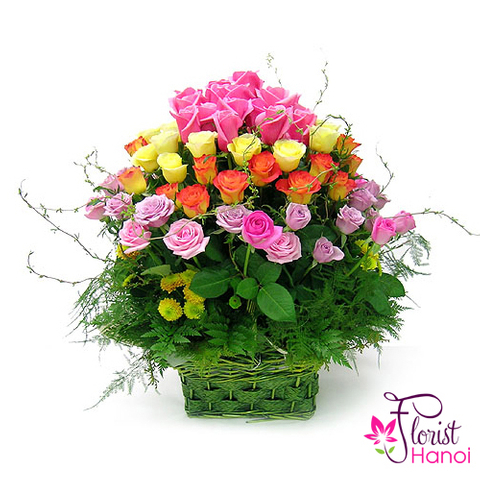 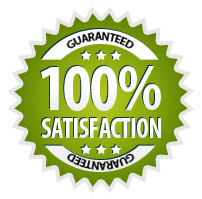 If you have an anniversary or romantic celebration coming up, these roses will be ideal. 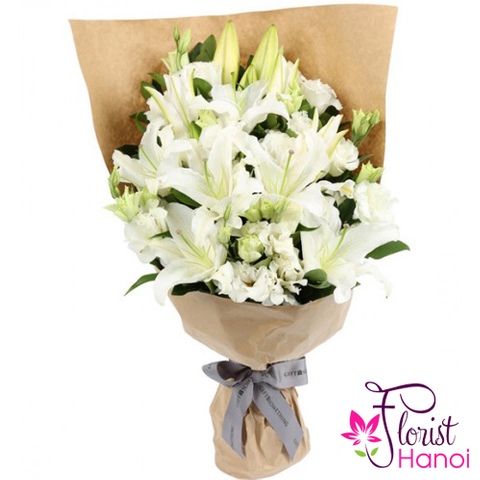 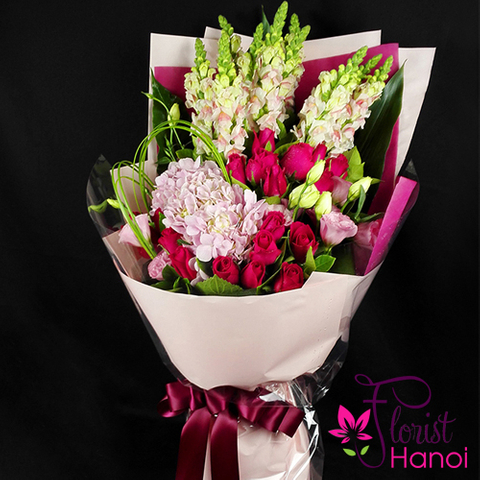 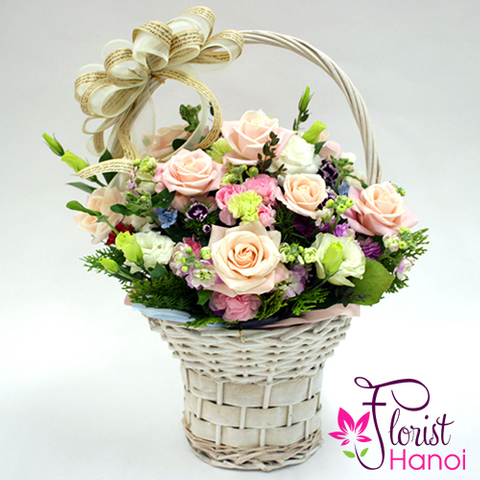 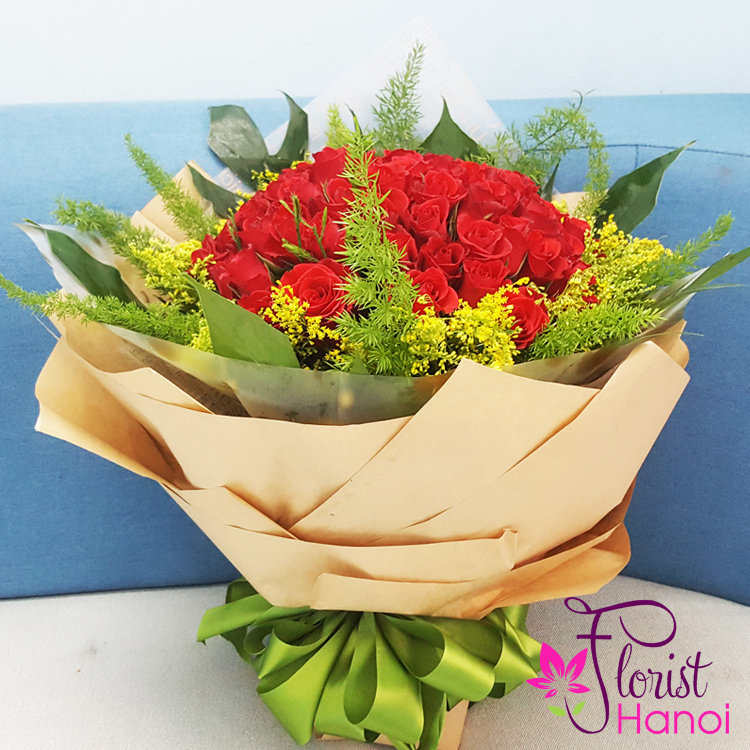 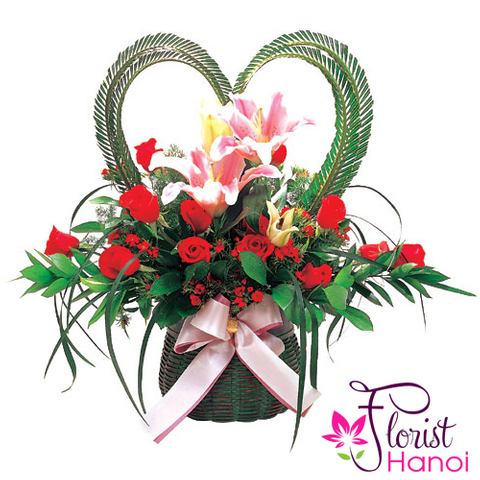 This bouquet will speak to your feelings loudly and proudly.